then hit the "back" button on your browser to return to this page. 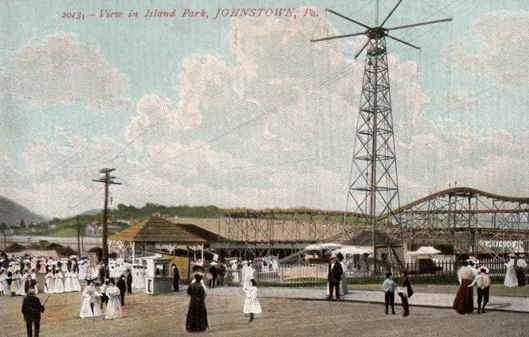 View in Island Park, Johnstown PA. This post card was in a photo album of my grandmother - Susanna Gillman Shartz. The card was given to her son Luther Gillman Shartz. It was never stamped nor mailed. The back of the card says: This space may be used for Correspondence after March 1st, 1907. 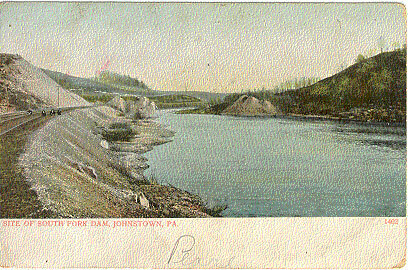 Hinckston Run Dam, Johnstown, PA. This is a post card from the photo album of Susanna Gillman Shartz. The card was given to her son, Luther Gillman Shartz, by his Aunt Sarah. The card was not mailed so I have no date. The back of the card said that it was printed in Great Britain. 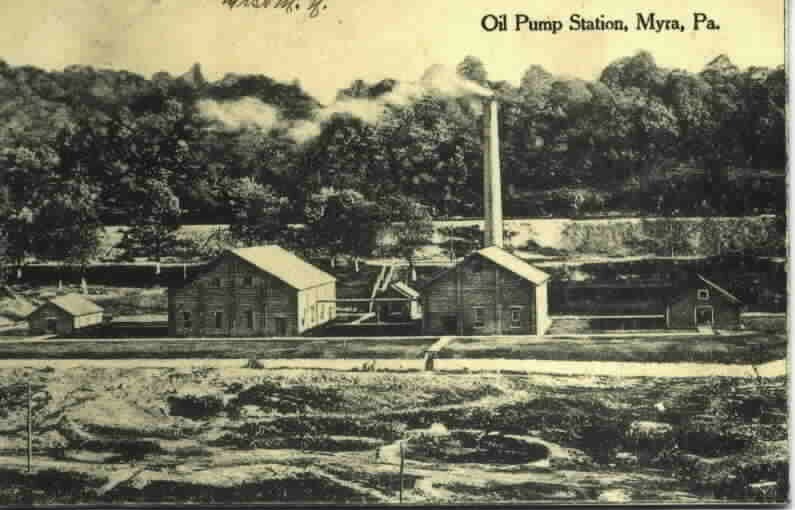 Oil Pump Station, Myra, Pa. This charcoal colored card was postally used and mailed Oct. 9, 1910 from Indiana, PA to a Mrs. G. R. Waltimmire in Heilwood, PA. This postcard and the one following are of the same station at Myra, just done from different angles. 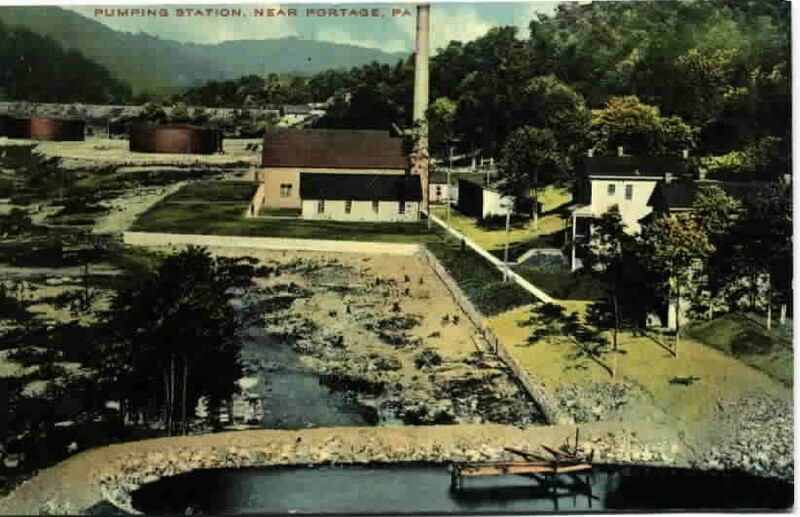 Pumping Station, near Portage, Pa. 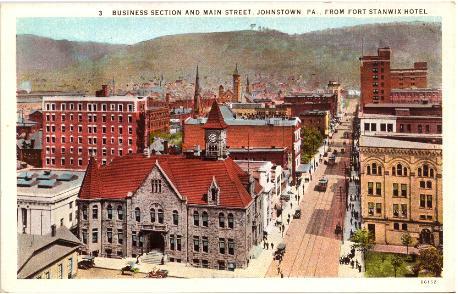 This color card was printed sometime after 1909 but was not postally used. 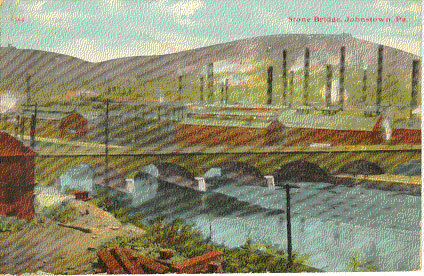 This postcard, and the one above, are the same pumping station from different angles. Perhaps this one says "near Portage", because Portage was a larger community. 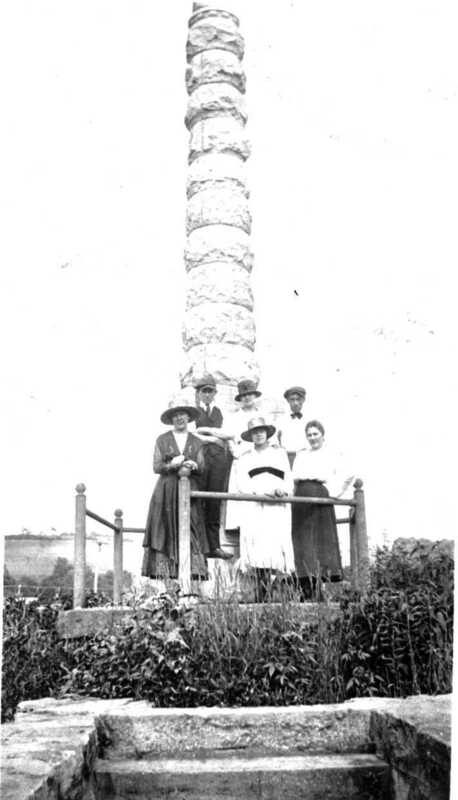 This is an old photo of the William Penn Monument at Cherrytree. My Grandmother Mary Amelia (Millie) Lantzy is in the front row far right. 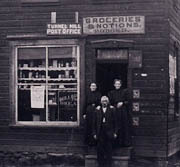 Tunnel Hill Post Office; Patrick O'Dowd & his 2nd wife Matilda Benden Donoughe & daughter Margaret (from his 1st marriage to Mary Matilda George). 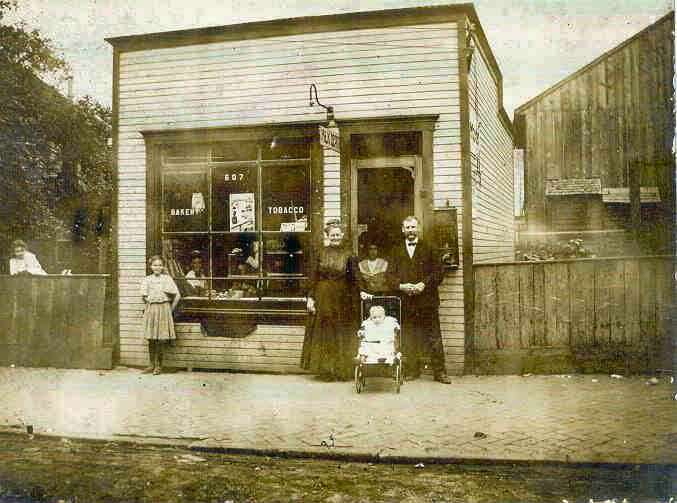 They are standing in front of his Grocery & Notions store. (Note: his name is on the sign). 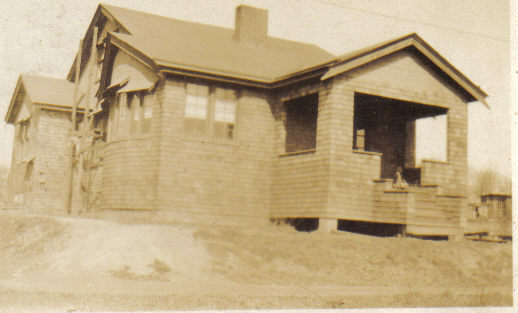 This was also the Tunnel Hill Post Office. 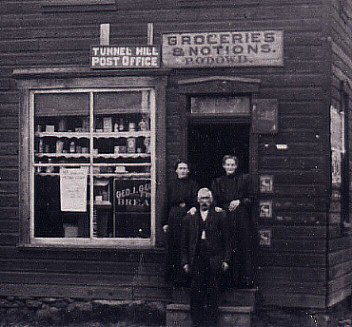 (Patrick O'Dowd was Tunnel Hill Postmaster late in 1906). 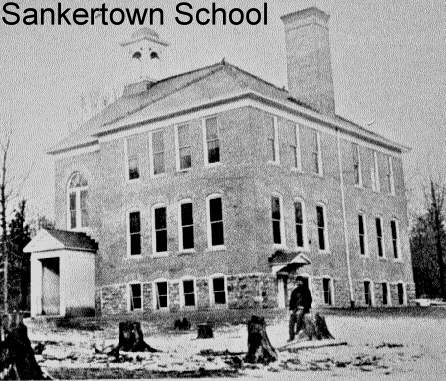 Sankertown School after the fire. 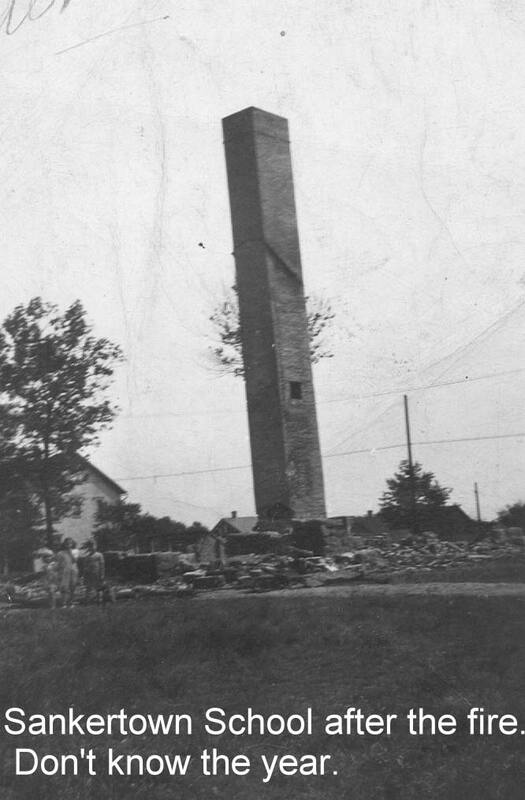 Does anyone know what year the fire was? 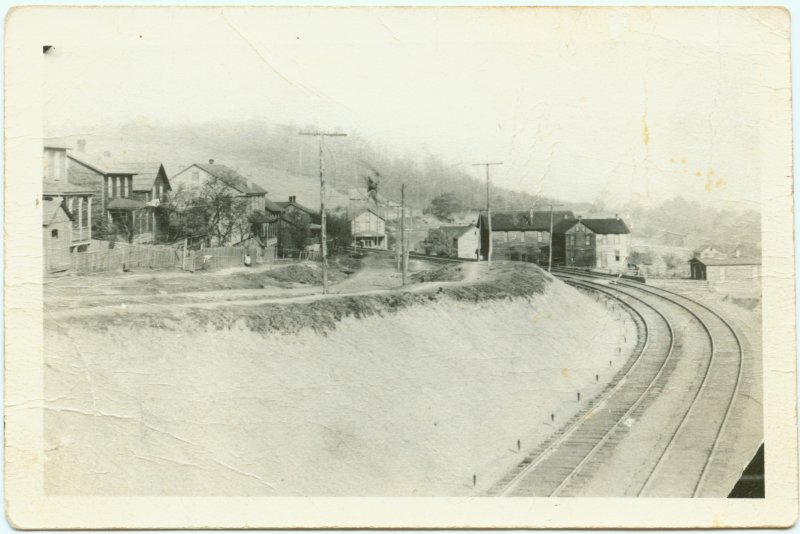 An old photo of Walnut Grove. I do not know the year that it was taken, but the photographers were J.S. & H.J. 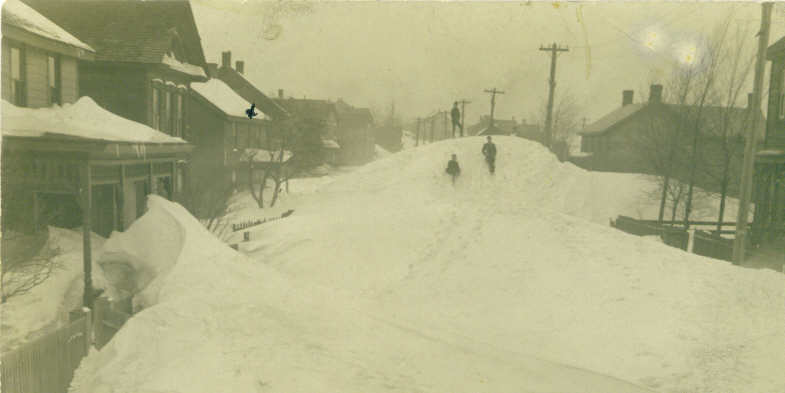 Mock, Amateur Photographers, 1008 Bedford St., Johnstown, PA.
An old postcard of Cresson, PA in winter long before the snow plow era. 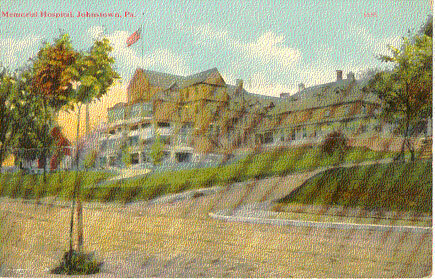 A 1920's era photograph of Blandburg, PA.
Memorial Hospital Johnstown, PA. No date on card. Name on back of card is Mrs. R. C. Froelich (of whom I have no knowledge). No message. Card was never mailed. 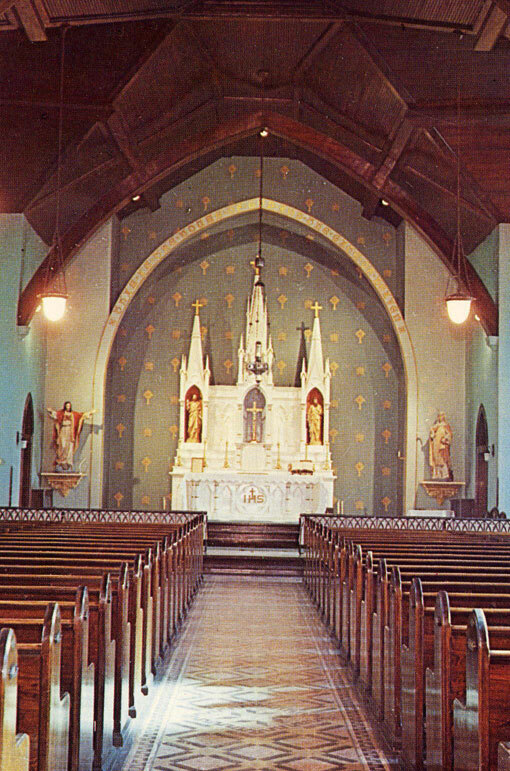 This is the interior of St. Brigid's Catholic Church Lilly, PA, before the fire in the early 1970's. 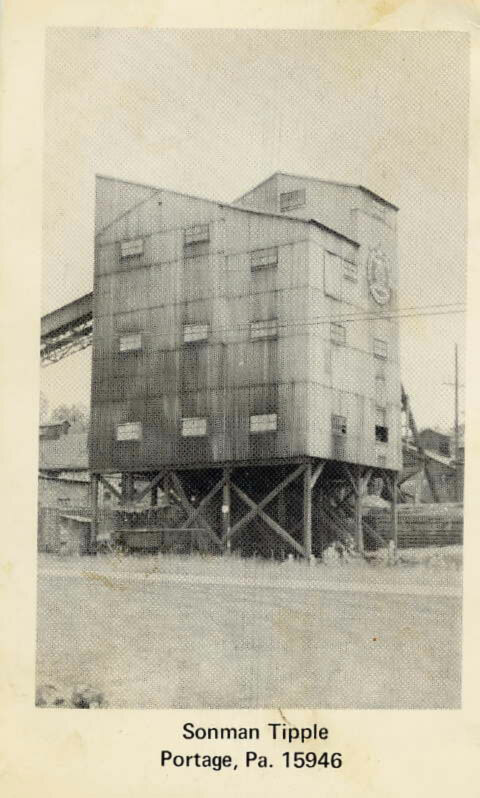 It is a post card published by the Aerial Farm Statistics, 1752 Broadway, Toledo Ohio. I can't find a year on it but my Mother had told me it was taken in the late 1950's or early 1960's. This picture is a postcard mailed to me in 1973 of the Sonman Tipple. 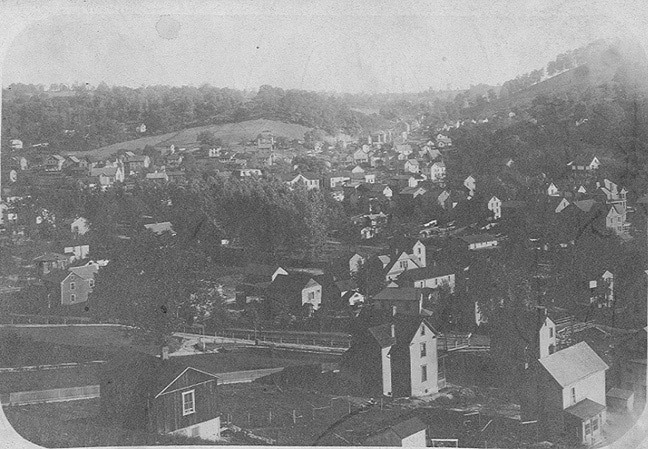 Bird's Eye View of Penna. 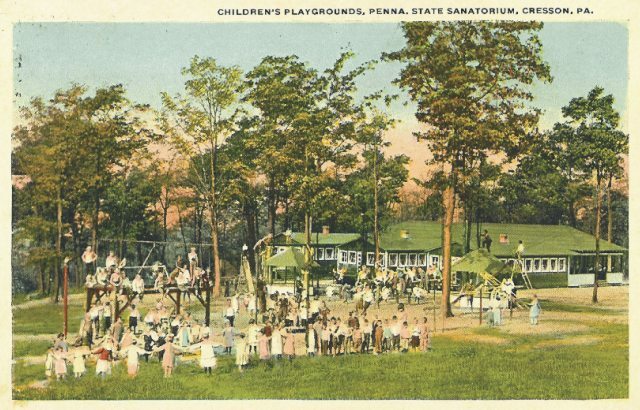 State Sanatorium, Cresson, Pa.
Children's Playgrounds, Penna. 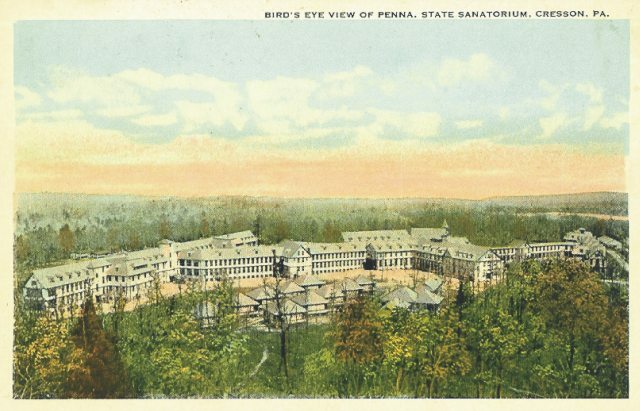 State Sanatorium, Cresson, Pa.
View of Main Buildings and Grounds, Penna. 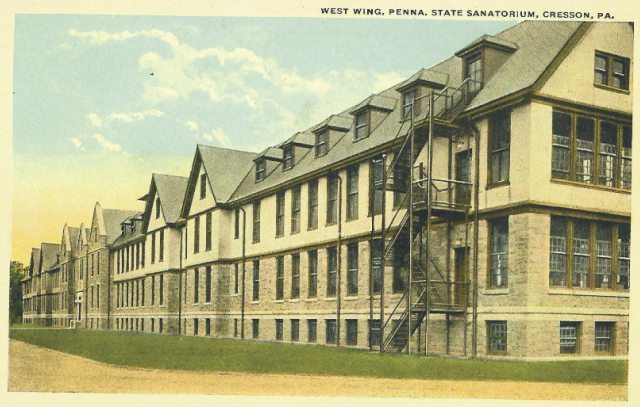 State Sanatorium, Cresson, Pa.
West Wing, Penna. 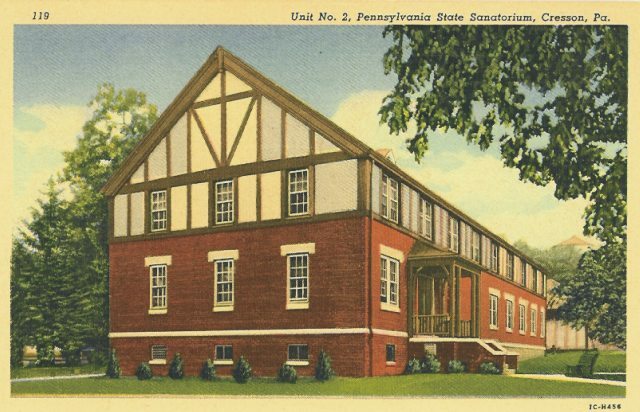 State Sanatorium, Cresson, Pa.
Administration Building, Penna. 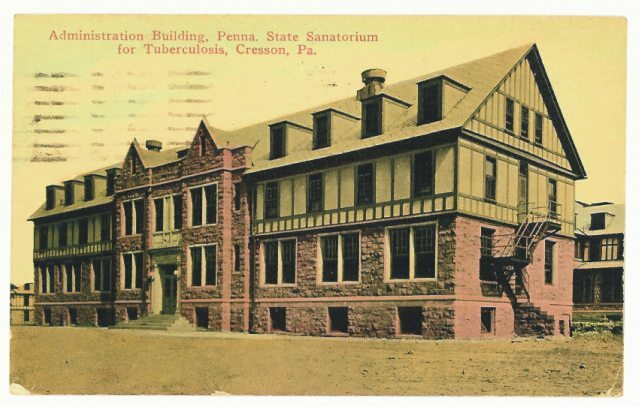 State Sanatorium, Cresson, Pa.
Unit No. 2, Penna. 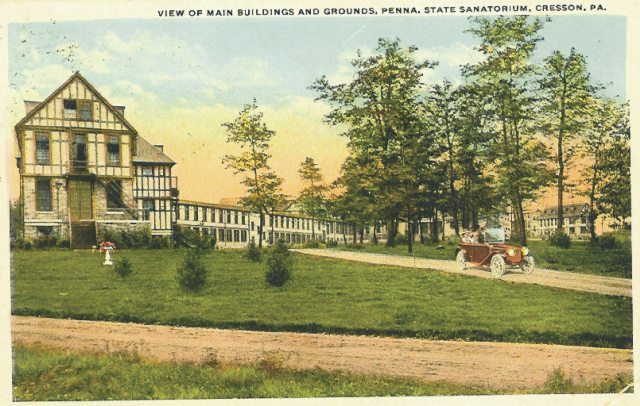 State Sanatorium, Cresson, Pa.
My mother, Lyda Roena Melhorn, was born in this house. It is 228 High St. Cresson. This picture was taken just prior to completion. 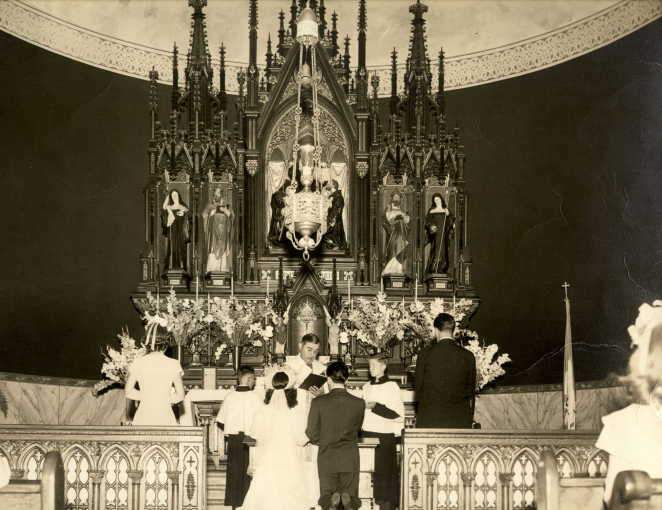 It was built by my carpenter grandfather, Peter Melhorn. This picture was taken in 1919 and my mother was born in December of that year. 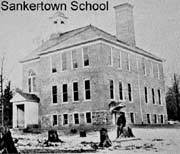 As far as I know, the house still stands. 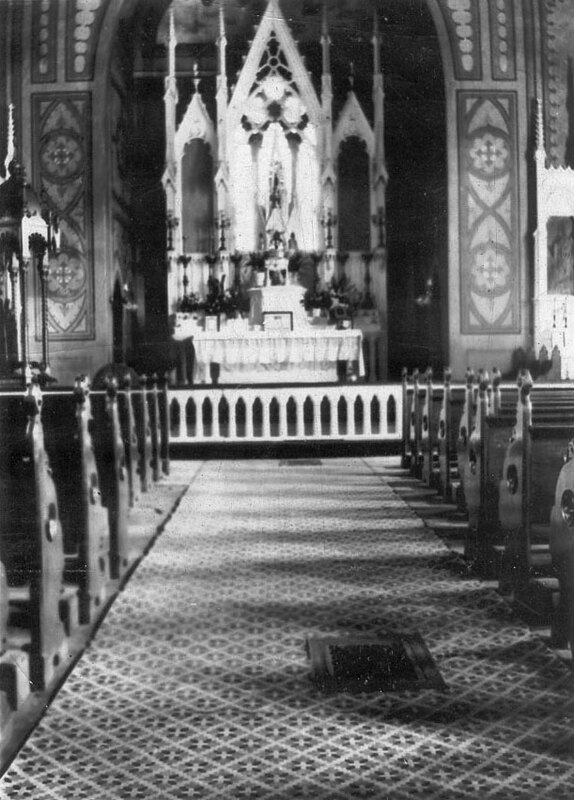 This picture is of the interior of St. Thomas Aquinas RC Church in Ashville before March 1943, when it burned down. 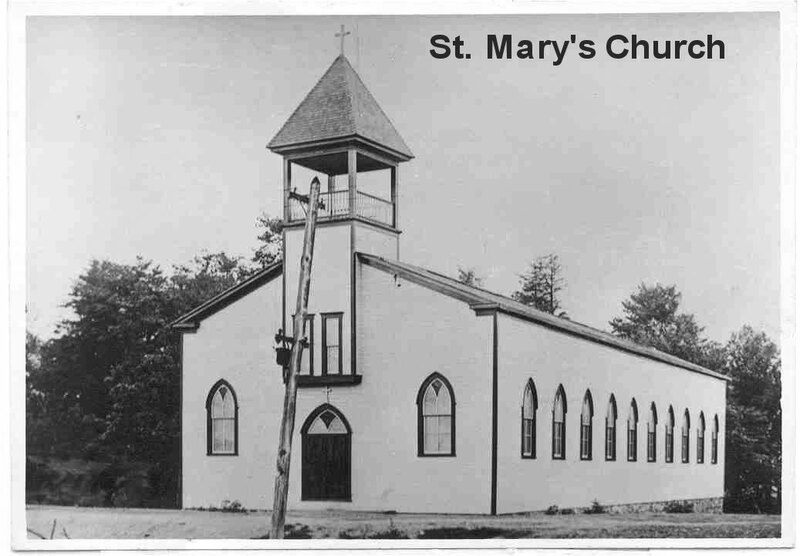 St. Marys Church (Slovish Catholic) Main St. & Sonman Ave, Portage PA.
Century Ribbon Mills, Farren Street, about 1918. 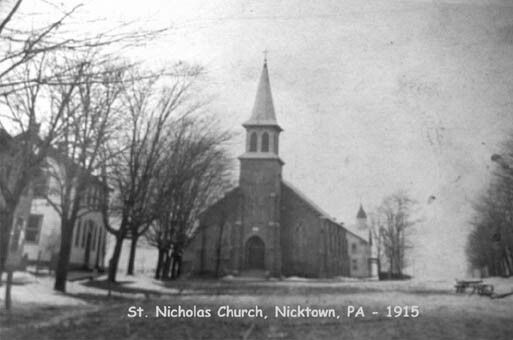 Portage PA.
St. Joseph's Catholic Church, Portage, Pa. About 1905. Old Evangelical Church on Mountain Ave., Portage, Pa.
Hopfer's Hardware Store corner of Main & Jefferson Portage, PA before the streets were paved with brick. 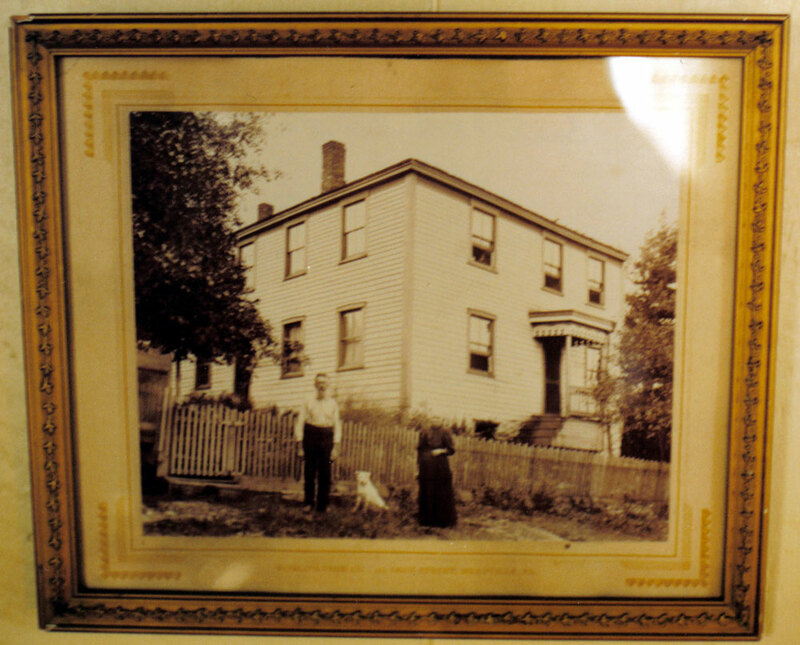 The original homestead with John and Catherine standing in yard. This picture is on the wall of the homestead. 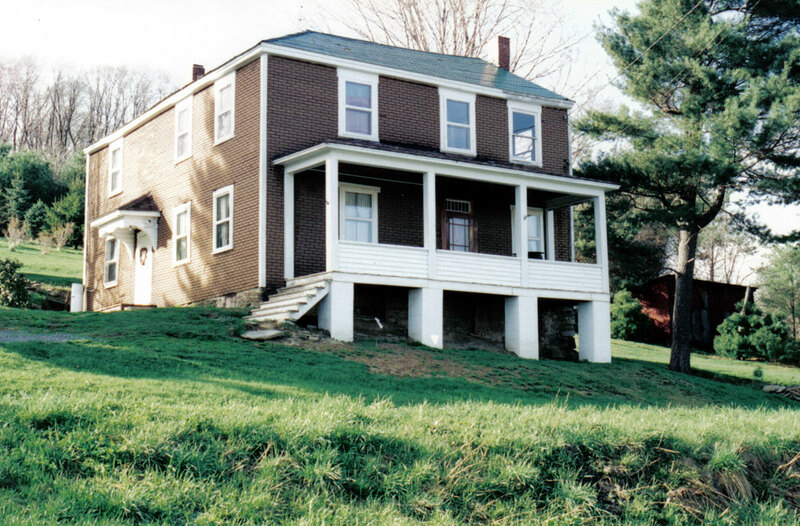 The second picture is the homestead as it is today. 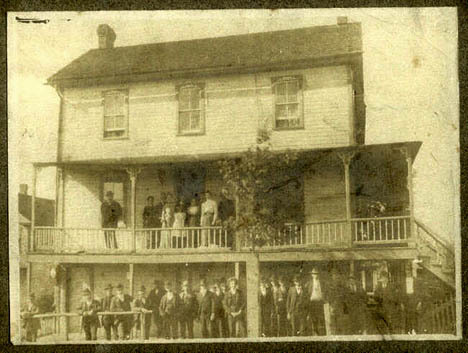 Notice the tin roof , put on by Ambrose and Gilbert Hogue. 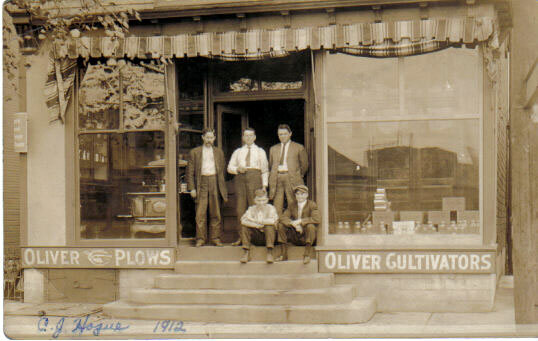 Original Hogue Hardware, Cresson, Pa. C. J. Hogue is in the picture, but I don't know who the other men are. 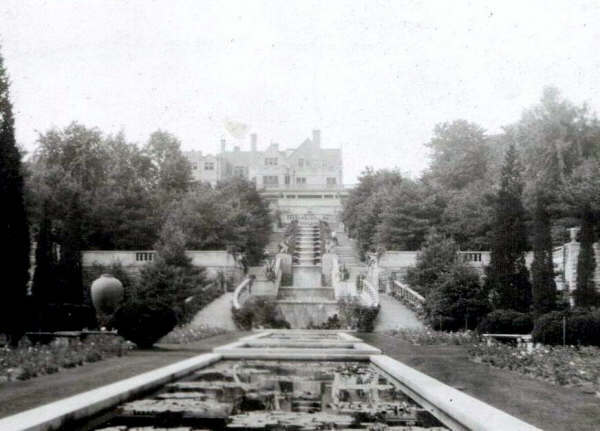 The main entrance of the Schwab estate in Loretto, 1921. Submitted by Charles's first cousin twice removed, Jack O'Connor.